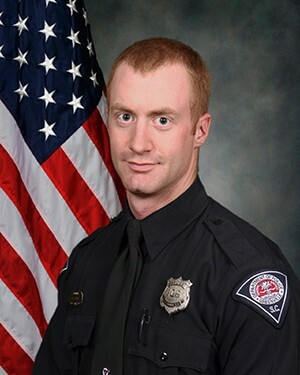 Police Officer Allen Lee Jacobs was shot multiple times as he and other Community Response Team officers attempted to interview a known gang member at a home near Rebecca Street and Ackley Road, in the Nicholtown neighborhood. When the subject saw the officers he fled on foot onto a wooded path with officers in pursuit. He was chased into the backyard of a home where he fatally shot Officer Jacobs. He was able to continue fleeing but encountered other officers who had created a perimeter. He committed suicide before he could be taken into custody. 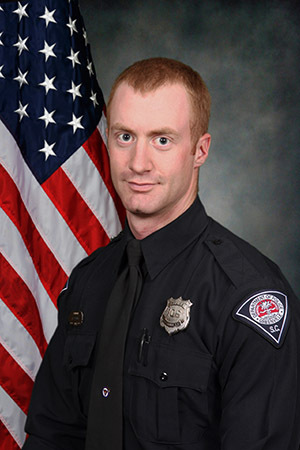 Officer Jacobs was a decorated United States Army veteran and served with the Greenville Police Department for 4-1/2 years. He is survived by his expectant wife and two sons, and his parents and one sister. I bleed blue with with the task force.